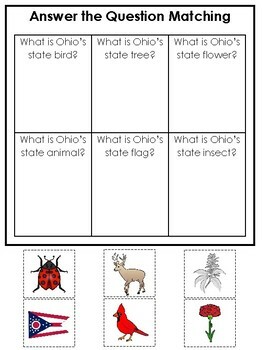 Ohio State Symbols themed Answer the Question Preschool Literacy Game. Ohio State Symbols themed Answer the Question Game. 1 game board and 6 game pieces. Please see our many other items in our store. We always have full curriculum sets, new games, worksheets, and more!